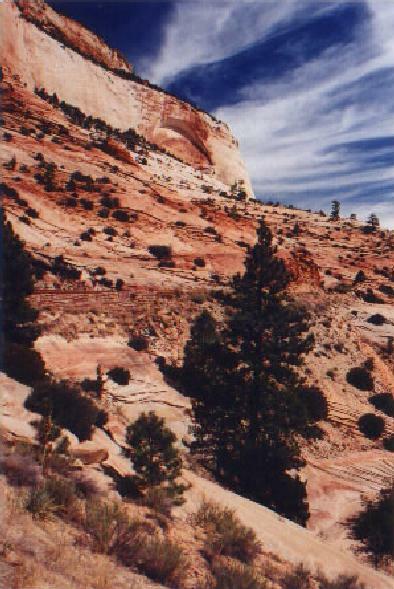 Utah in general comes with dry desert like climate. 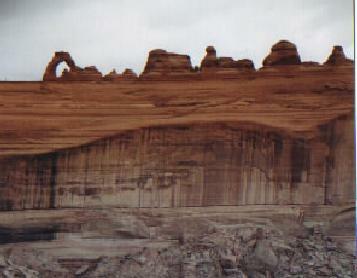 However unlike the regular deserts you find mountain ranges every where. 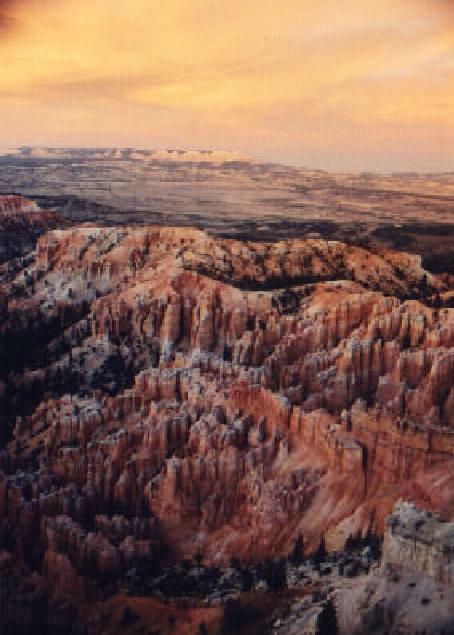 At many place most of these mountains are dry, but adjoining the rockies you find the legendary skiing places of Utah. The most interesting part of the place is the crusty, light, sand like surface of the ground. At many places it feels like things might crumble any instant. Because of this crusty surface in this region, the rivers have had a fabulous time. Any thread of flowing water here has carved a deep gorge !! 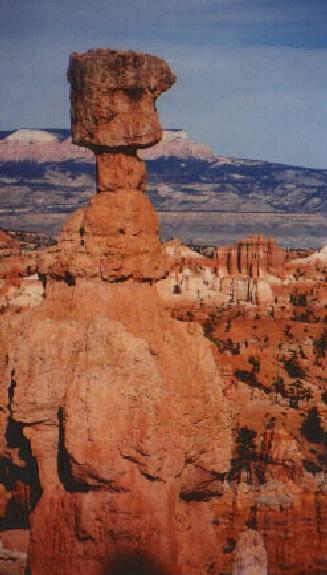 Thus over the ages these mind boggling places have got formed... Now for the pictures. 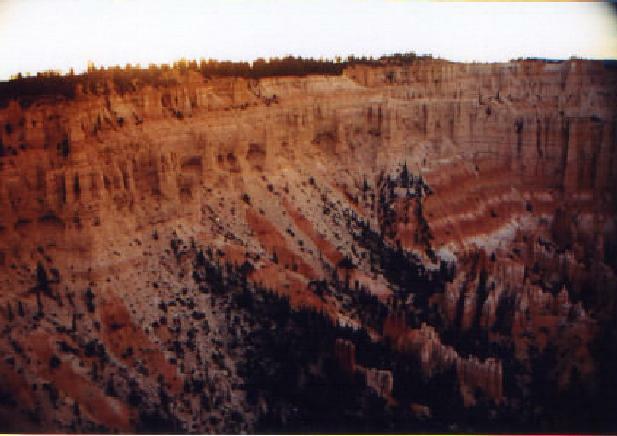 A picture of the walls of the canyon. 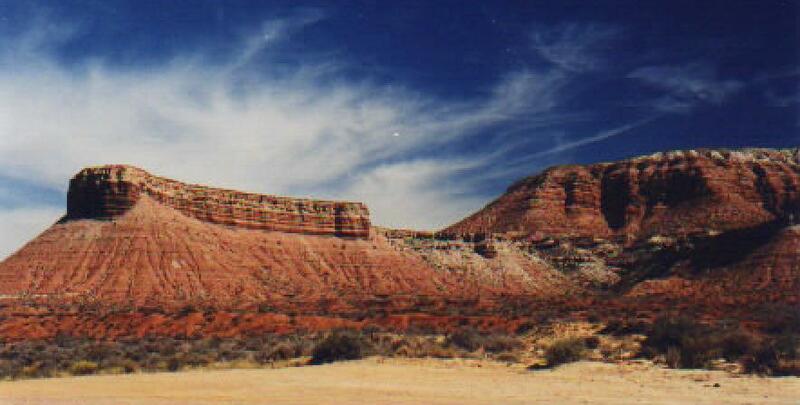 The Redrock Canyon, UT, justifies its name ten times over. 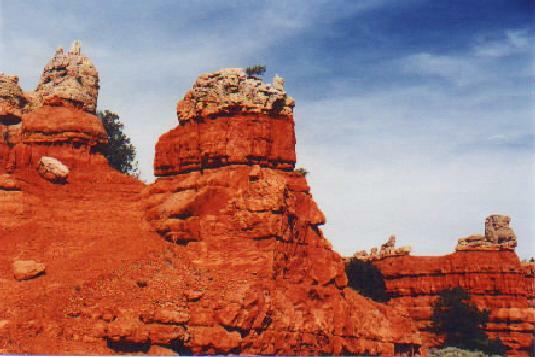 The rock around this place is RED ! This was an amazing spectacle too. 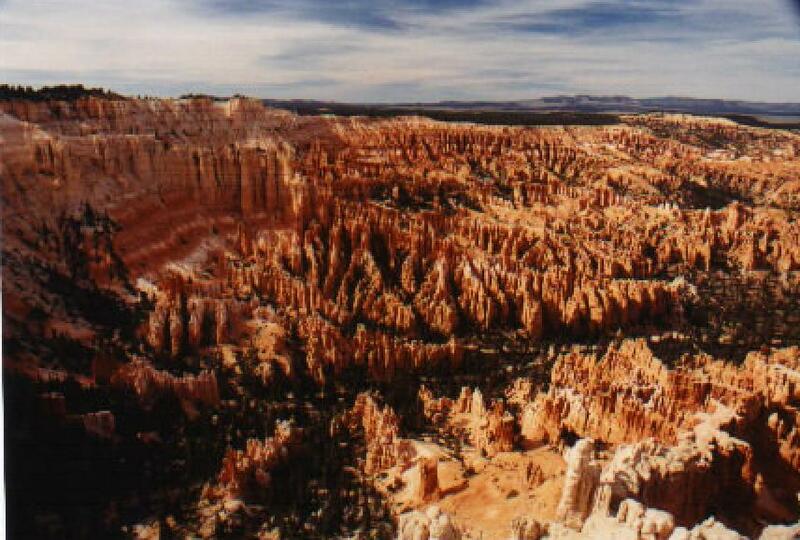 One of the best things to see in Utah is the Bryce Canyon. Well words fail to describe this. And we dont know even if the pictures do it any justice. 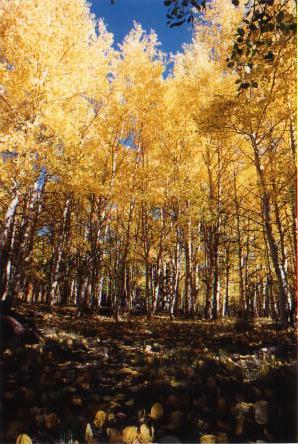 The following pictures are the fall colours on top of the Boulder Mountain, UT. 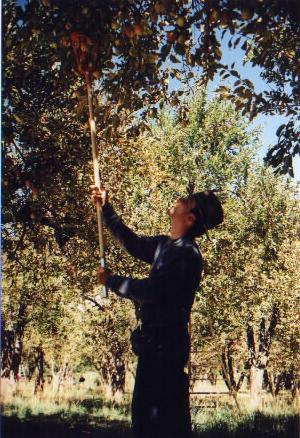 And who said, fall is only in the far eastern US ?? No need to search, we are not in this picture :-). But the colours are as fabulous as ever ! 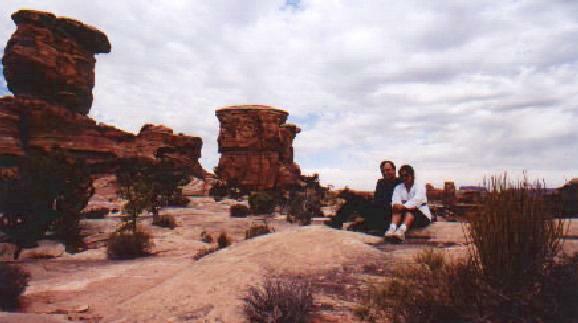 Canyonlands NP, UT !! 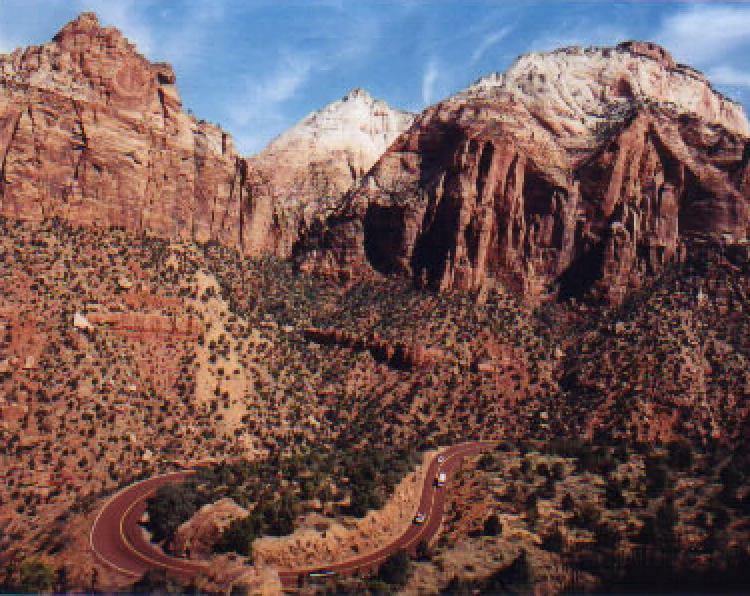 This is a huge national park with lots of by roads and pathways. 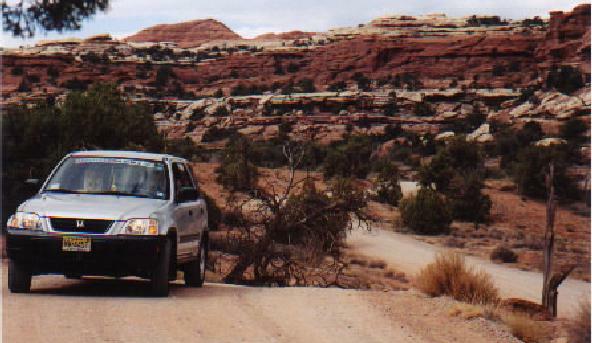 We enjoyed some of the best back country driving in this park. Here our CRV strikes a pose ! 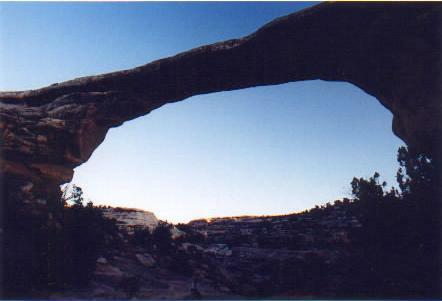 An interesting observation in Utah is that lots of the monuments and natural landscapes are protected areas, but there are some which are not named, unprotected - this above picture is an example. 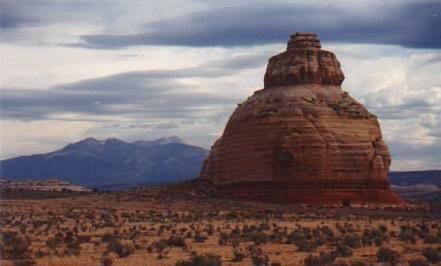 It pretty much looks like an Indian (no not the american indian one) temple. 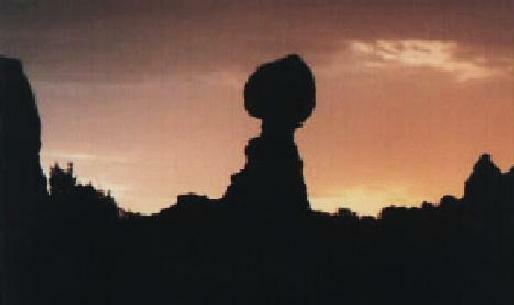 Sun sets over The Balanced rock in Arches National Park, UT. 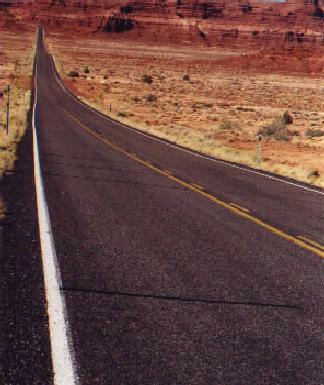 The Road as seen in UT - 2 ! Colorado is the famous Rocky Mountain State. This range of mountains goes right across the heart of the state from north to south. 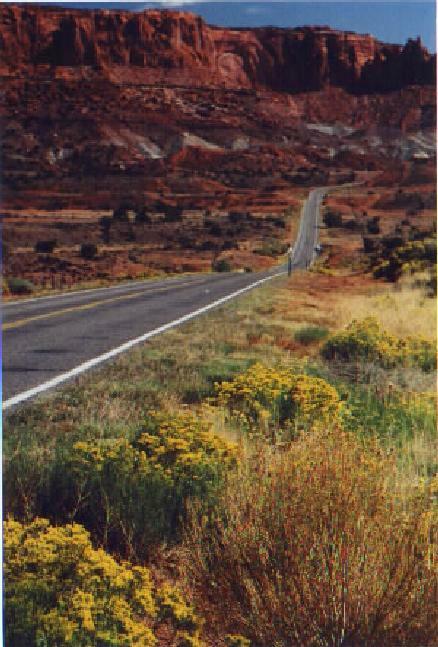 The nickname of the state however is The Centennial State. The name comes from a spanish word that literally read "Colored Red" ! The beauty of the rockies is compared to that of Switzerland. However this trip of ours did not cover much of Colorado since we had covered it in yet another trip earlier. We still have some pictures to show - mostly of the southern parts. Colorado is synonymous to Aspen !! 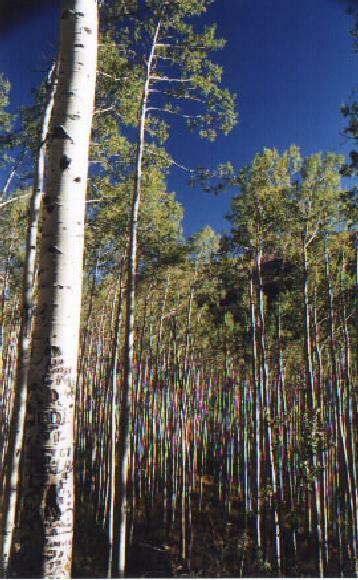 Aspen is the most visibile and likeable trees in the Rockies. 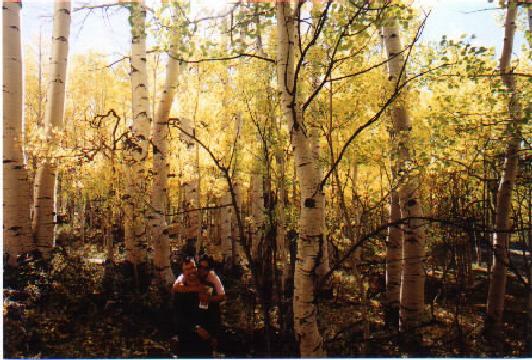 Here is a picture of them aspens - you see forests and forests of these trees in here. 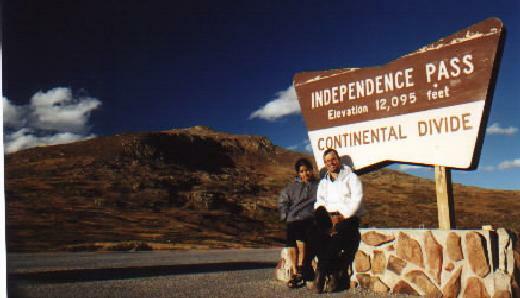 When crossing over to Colorado from Utah we took the Independence Pass. This is one of the highest points in our trip. The view from top is crisp. 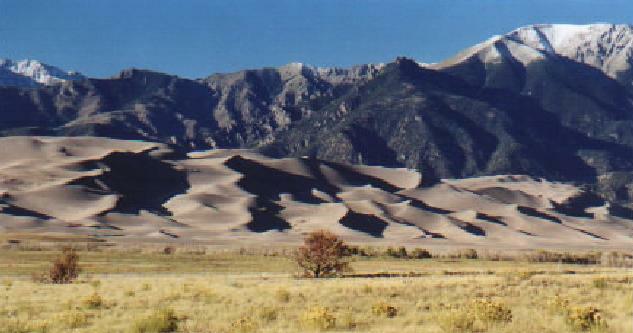 The most important site we visited in CO was the Sand Dunes National Monument. Here the Sand Dunes are dwarfed by the Rockies in the back drop. The Sand Dunes themselves can be as tall as 500 feet. 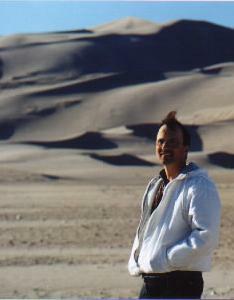 Ajay strikes a pose in the wind at the Sand Dunes. That brings us to the end of Colorado and Week 4 !